TAUNTON, Massachusetts (CNN) - Michelle Carter's text messages became increasingly dark in the days preceding her boyfriend's suicide, including talk of the most effective methods and her apparent doubt and frustration about whether he was up to the task. On Thursday, when the prosecution rested its case in Carter's Massachusetts trial on involuntary manslaughter charges, the final witness revealed a series of disturbing text messages the state claims prove she pushed Conrad Roy III to take his life in July 2014 by inhaling carbon monoxide in his pickup truck. Roy: "I just have to take my time. Like I keep regretting the past. It's getting me upset." Roy: "You think I should"
Carter: "You're not gonna kill yourself. You say all the time you want to but look, you're still here. All the times you wanted to, you didn't. You don't want to die, you just want the pain to stop"
Roy: "That's true. I just don't know what to do with myself"
Carter: "I know you, and I know you aren't gonna do it." In early July, suicide again came up as well as Carter's doubt about whether he would do it, according to text messages extracted from Roy's phone by Bates. Carter: "Are you gonna do it today"
Carter: "I don't think you're really serious about this. Like I know you say you're gonna but are you seriously gonna try?" In other text exchanges that summer Roy said he wished Carter could hold his hand during the suicide; Carter asked Roy to "prove her wrong" about his desire to die and said there were "lots of ways," including hanging, jumping from a building and stabbing himself. Roy's body was found July 13, 2014, in a Kmart parking lot in Fairhaven, nearly 40 miles from his home. At the time of the autopsy, Roy's blood had a carbon monoxide level of 71%, Boston Medical Examiner Dr. Faryl Sandler told the court Thursday. A normal amount is 1-3%, and 3-5% for smokers. The cause of death was ruled acute carbon monoxide intoxication, the manner suicide. Roy essentially suffocated as the carbon monoxide competed with his oxygen, Sandler testified. After about 17 minutes of exposure, breaths drop to three per minute. After about 20 minutes, a person is dead. Roy may have stepped out of his truck at one point during the suicide attempt, "so the death timeline may be longer," Sandler said. Carter's attorney, Joseph Cataldo, has painted a starkly different version of the relationship, describing Roy as deeply depressed over the divorce of his parents and a victim of physical and emotional abuse who was on a "path to take his own life for years." Some text messages show Carter suggested Roy seek professional help, he said. "This is a suicide case," he said, "not a homicide." Cataldo noted the young man's extensive online searches about suicide methods, Carter's attempts to get him to seek help and her own bouts with mental issues. "It was his choice," Cataldo told the judge in his opening statement. "She didn't cause his death." But prosecutors argue that numerous text messages are overwhelming evidence that while Carter, now 20, played the role of a loving and distraught girlfriend, she had secretly urged Roy to kill himself. On Wednesday, Samantha Boardman testified that more than a month after Roy's death, she got a disturbing text message from her friend Carter. It said, in part: "He got out of the car because it was working and he got scared and I f-----g told him to get back in." What was apparently working was Roy's attempt to take his life by inhaling the deadly gas in his black Ford F-250. Boardman, who knew Carter from high school, also testified that her then-classmate had sent an ominous text message the day before Roy's body was found slumped in his truck with a portable gasoline engine in the back seat. "Is there any way a portable generator can kill you somehow?" the message said. "Because he said he was getting that and some other tools at the store." 'I'm alone all the time"
Boardman and other classmates testified about exchanging texts with Carter about the defendant's struggles with an apparent eating disorder, about her loneliness and feelings of worthlessness over not having friends, and about her "cutting" herself at times. One classmate, Olivia "Livy" Mosolgo, testified that Carter sought to get the attention of girls who had stopped talking to her and lamented not having friends. 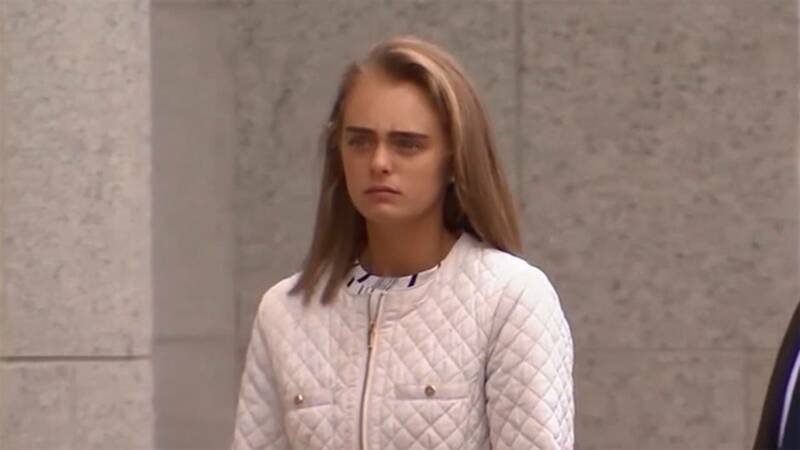 In one text, Mosolgo told the court, Carter asked her to stop complimenting her as "pretty" and "wonderful" because she wasn't invited to parties. "Livy, I have like no friends," one text said. "No one hangs out with me," said another. "I'm alone all the time." Another school friend, Alexandra "Lexi" Ebla, testified that about a month after the suicide, Carter texted her about a charity softball tournament she had organized in Roy's honor. She said Carter's text said, "I put the Homers for Conrad on Facebook! I'm like famous now haha. Check it out!" In a text to Boardman on the night Roy died, Carter wrote: "I heard moaning like someone was in pain and he wouldn't answer when I said his name. I stayed on the phone for like 20! mins and that's all I heard." She followed up with another text the next night: "Can we do something tonight to get my mind off it." "She mocked him when he chose to delay his death," Flynn said in her opening statement before Bristol County Juvenile Court Judge Lawrence Moniz, who will decide the case. "She put him in the car that night." "You need to do it, Conrad." "You can't think about it, you just have to do it." "Are you going to do it today?"